Driving nearly 900 miles in 7 days, in one state, was one of the best experiences ever! By far my favorite road trip to date. It was also one of the hardest trips for me to return home from. Oregon felt like home, being surrounded by the forest, ocean and endless wildlife was a real treat. I am an earthy-girl, I love being out in nature. I went to Oregon seeking serenity and to commune with nature, and I got more than I could ever hope for. Nature is healing, forest bathing is life changing, and Oregon has it all. I fell in love with all of the trees that had deeply rooted themselves into the rich Oregon soil. Trees and the forest are excellent sources of inspiration and enjoyment. They give you a feeling of peace and tranquility so imagine hours of driving and walking through them. 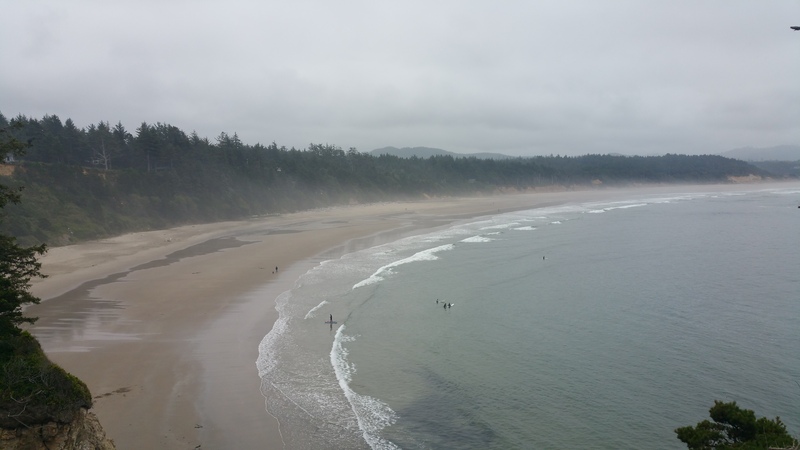 The Oregon Coast is breathtakingly beautiful. It leaves you speechless and almost paralyzed by its beauty. I shared with you guys how the California Coast had me mesmerized with its picturesque beauty, and that it was the most beautiful place my eyes had seen. I recant what I said. Ha! That was before I visited the Oregon Coast, specifically, Cape Perpetua Scenic Area, it is as equally if not more beautiful. I don’t think there was a day that I left the coast and wasn’t teary-eyed. I’ll share more about Cape Perpetua in a later post. One of the places I visited was the Devil’s Punch Bowl. No, you’re not going to find any Kool-Aid in this bowl. It’s a large bowl naturally carved into the side of a rocky headland, that was thought to have been formed by the oceans force collapsing two caves. The waves enter the bowl churning and swirling violently. You can feel the vicious oceans power, that doesn’t frighten you but leaves you with a sense of calmness, inner peace, and satisfaction. If you’re a brave soul, you can take a quick hike down to the bowl and walk around a bit. Make sure it’s low tide… I’m just saying. Can you see that brave little soul snapping pictures down in the bowl? I promise that is not me you see down there. I don’t play with the devil! Ha ha! 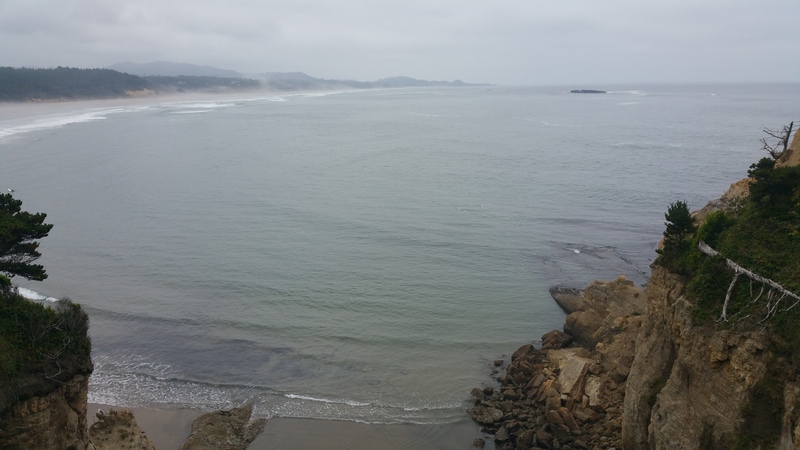 Make sure you bring a pair of binocular to check out Otter Rock and all the different sea animals that stop there to rest as they make their journey across the ocean. It’s in the backdrop of Devil’s Punch Bowl as you look out at the beautiful blue pristine Pacific Ocean. You might also get a glimpse of the surfers out riding the vicious waves. It’s something to see. Thank you and thanks for following along!